Export of Organic Food can bring a good change in Pakistan&#39;s economy . HomeExport of Organic Food can bring a good change in Pakistan economy .Export of Organic Food can bring a good change in Pakistan's economy . Export of Organic Food can bring a good change in Pakistan's economy . Being a agriculture country we need to improve our agriculture products and should work on to grow Organic Food and its export. As the market of imported Organic Food products is increasing day by day . bellow you can find some details about such agri products . 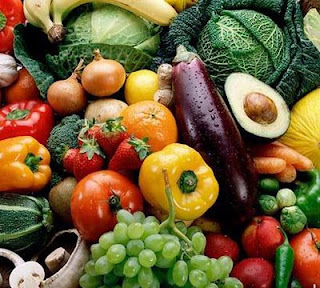 Organic food advocates claim that organically grown foods are safer and more nutritious than foods raised with non-organic methods such as pesticides, non-organic fertilizers, antibiotics and hormones. Many people just don't trust these chemicals and don't want to put them into their bodies. Since virtually all non-organically produced foods contain residues of pesticides, fertilizers and other chemicals, the only way to avoid them is to buy organic foods. To be certified as organic, food products need to come from farms and processing plants that are certified as organic. This means that they are inspected by certified government officials to ensure that organic farms are up to USDA organic standards. The inspectors make sure that only organic methods are used and that the environment is not contaminated with pesticides, synthetic fertilizers or other non-organic compounds. Foods that are organically grown can state that fact on the label. This makes shopping easier for those of us who want to buy organic foods. It is important to understand exactly what organic labels mean. Foods that are labeled as 100% Organic must contain all organically grown ingredients except for added water and salt. Foods that are labeled as Organic need to contain at least 95% organic ingredients, except for added water and salt, plus they must not contain sulfites added as a preservative. Sulfites have been known to provoke allergies and asthma in some people. Up to 5% of the ingredients may non-organically produced. Product labels that claim Made with Organic Ingredients need to contain at least 70% organic ingredients, except for added water and salt. They must not contain added sulfites, and up to 30% of the ingredients may be non-organically produced. Food products made with less than 70% organic ingredients may state which ingredients are organic, but they can not claim to be organic food products. What Makes Organic Foods Better Than Non-Organic Foods? 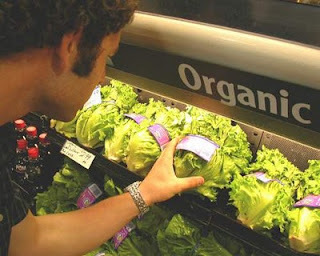 Organic foods do not contain dangerous pesticides. Although studies show that the minimal amounts of residues of chemical pesticides found on non-organically grown foods are not dangerous to your health, many people just don't believe it. Studies show that children who maintain conventional diets have more pesticides in their bodies than those who eat organic foods. Some experts believe that these pesticides may possibly lead to problems impeding with normal neurological development. Many organic food advocates also wish to avoid the antibiotics and growth hormones that are used on conventionally grown farm animals. These substances pass from the dairy products and meat we eat into our bodies. This use of antibiotics may be one of the causes of antibiotic-resistant strains of bacteria. Organic food advocates also claim that organic foods are more nutritious than conventionally grown foods. There isn't much evidence to show that organic foods contain any more nutrients than non-organic foods; however some organic produce contain more vitamin C and higher quality protein content. There is also evidence that animals grown with organic feeds tend to be healthier than animals fed conventional feeds. Organic farming is not only better for the animals, it is better for the environment. Organic farms are much more compatible with wildlife and land conservation programs. This is a question that more and more consumers say "yes" to every day. Organic foods are more expensive to grow than conventionally grown foods and that cost shows up in the higher prices in the grocery store. The choice to add organic foods to your diet may cost a bit more money, but for that price, you are buying the reassurance that you're making healthy decisions for our own health and your family's health. National Organic Program, United States Department of Agriculture, Organic Foods Standards and Labels: The Facts Updated: January 2007. Colborn, T. "A Case for Revisiting the Safety of Pesticides: A Closer Look at Neurodevelopment." Environ Health Perspect. 2006 January; 114(1):10�17. Export of Organic Food can bring a good change in Pakistan economy .